An Indianapolis native, Tasheka Brewer is new to the real estate scene and a well-rounded young woman with relatable professionalism at the forefront. 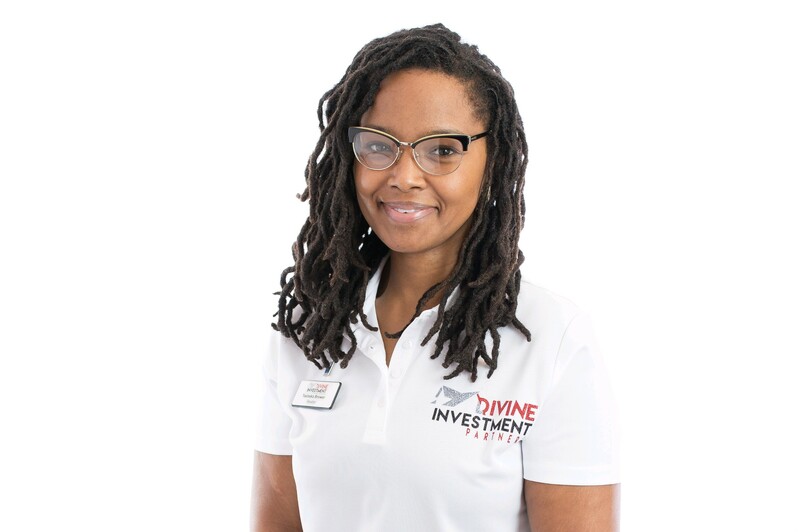 She embarked on a new career with Divine Investment Partners, LLC in August 2016, transitioning from working with Veterans pertaining to their healthcare. Having participated in the buying and selling of residential real estate in the past, noting both the pros and cons, assisting others in the exchange of properties became her life’s passion after receiving encouragement from her Mentor, indulging in many cups of herbal tea, and self-reflection. After seeing a decline in a sense of community of the city, she now believes that “No one was born into existence to have nothing”, and sincerely works to make Indianapolis become great again. Her specialties include: proper education and awareness of financing, first-time home buyers, multi-unit properties, and Veterans. Wanting to see the residents of Indianapolis have a sense of pride in themselves and legacies to leave their children, Tasheka makes sure to walk with her Clients every step of the way to ensure their self-confidence and guide them in making the most effective and logical decisions for their future.